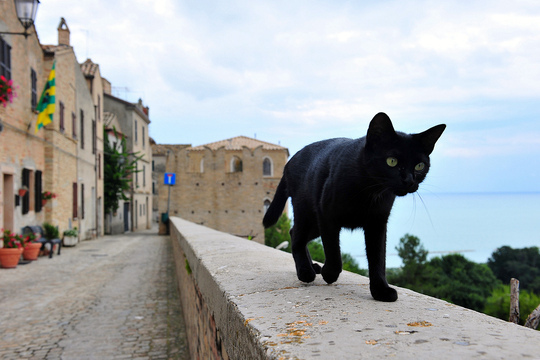 Traveling cat spotted in Torre di Palme, Italy. Cute kitty. Have a super Saturday. Such a beautiful picture. And a beautiful cat, too! this kitty definitely appears to be on a mission!